In images emitted by Canal + France, it is seen as Tuchel, Mbappe, Draxler and even Al Khelaifi harshly criticized the arbitration at the break against Lille. Paris Saint-Germain lived its second league defeat so far this season. In the absence of a point to win the League, Parisians traveled to Lille and fell by 5-1, the biggest loss so far in the championship. The match was conditioned by the expulsion of Juan Bernat in the minute 36. The side Spanish, who came to make the goal of the tie, played a ball in the race and near the area with Nicolas Pépé. 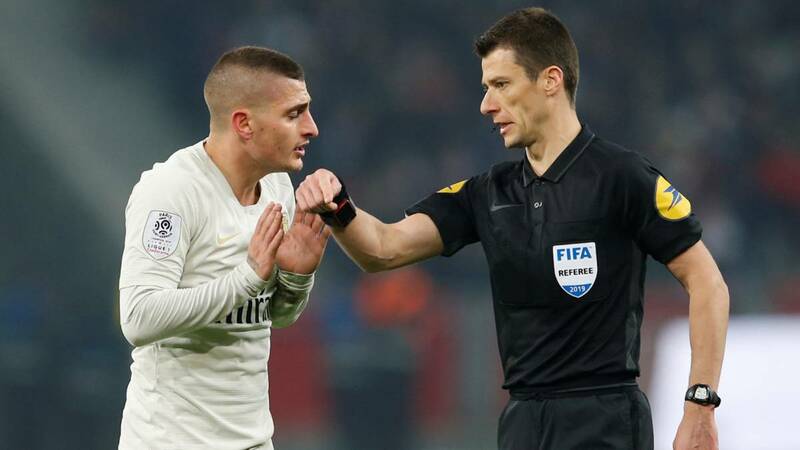 The striker ended up on the floor without an apparent contact to signal a foul but if it seemed enough to point to missing referee Benoit Bastien, who expelled him to be the last defender and consider that he had avoided a clear chance of goal. Con 1- 1, without Bernat and with two changes made, came PSG to rest with several of its components outraged with the referee of the meeting. In the tunnel of changing rooms, as can be seen thanks to the images of Canal Plus, Tuchel was with Al Khelaifi and explained the background of Bastien with PSG. "It is the same referee who punched us three penalties against Guingamp" he said, angry, remembering the defeat that left them out of the League Cup. Behind the trainer appeared his star, Kylian Mbappe, also notably upset with Bastien's refereeing. "This referee takes away the League Cup, takes away players ... It takes everything away" said the French forward. The hottest was Julian Draxler. The German agreed at the entrance of the locker room with the referee who accused him of not using the VAR. "Why do you want the VAR if you do not watch it!" she scolded him while Areola tried to calm him down and took him to the booth. "We have to raise the level of French football," said Al Khelaifi, who came down from the box to the entrance of changing rooms to talk about the ejection of the side. In the second half, Lille unleashed an attack and won an important victory against the leader that leaves them in positions of direct access to the Champions League. Arbitration was controversial in the locker room but also in the noble area of the Pierre-Mauroy. According to L'Equipe, after Al Khelaifi went down to reproach Bastien, Gérard López, adviser to Luis Campos, president of Lille, rebuked his attitude. This reproach did not sit well with the Parisian leader who argued in the same box and the sight of all with the dome of the local team, which, according to the French newspaper, ended up leaving their town before the end of the meeting. The PSG will not have to wait too long to put an end to this Ligue 1 and conquer the eighth league in its history. The whole of the French capital faces this Wednesday (19: 00h) at Nantes away from home and a tie would be worth it to take the title.